Online 123 Bingo Love Bingo Number 14- It’s Valentines! It’s February 14, and it’s a bingo valentine feast on 123bingoonline. Bingo on the number ‘1’ and number ‘4’ to win the guaranteed prize of $150. Cupid’s Arrow of Love- Play on the Cupid’s Arrow pattern for a $100 guaranteed bingo jackpot and for extra 50 BBs if you bingo within 18 calls. Loves Me…Loves Me Not- Remember plucking the daisy leaves to find out what’s hidden in your love’s heart? Well relive it by plucking the daisy leaves. Bingo on the Daisy pattern to win 100 BBs or more! Color of Love- Play on the special valentine patterns and bingo on the red ball to gather maximum points for a reward of 100 BBs. 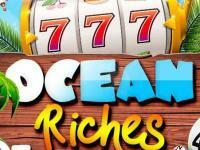 Dice Rolls- Roll the dice, keep your fingers crossed and get lucky to grab the prize of up to 40 BBs. Bingo on B-14- Number 14 is special this month, and why not it’s the day of love after all. 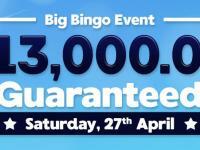 Bingo on B-14 the whole of February and win 20 BBs. Grand Bingo Ball- The Grand Bingo Ball is here! So, join hands with your valentine and enter our special Cupid’s Corner bingo room to collect the maximum heart patterns and share 250 BBs. Celebrate Love- Valentine is all about the celebrations of love! So, bingo on the L,O,V and E patterns and win $50 guaranteed reward along with the extra 25 BBs for hitting bingo on these four alphabets in the sequence L-O-V-E. Love Saga- Everyone becomes a poet when the true love touches their hearts. It’s time to pen down your tale of love in the words that are intense enough to make our hearts dance to the tune of your love. All entries get 10 BBs each and the best 3 tales win 25 BBs each. Be My Valentine- Play bingo with your valentine on 123bingoonline! 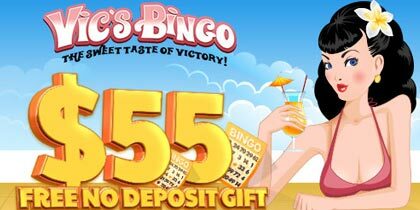 Invite your valentine to 123 bingo online this month and enjoy 100 BBs along with the 50% bonus on the deposit that they make within first 10 days. Valentine’s $6,000 Treasure Box- Just deposit and unlock the treasure box to stuff your pockets with wads of cash. 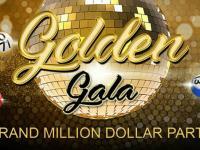 President’s Day $9,000 Mega Cash Raffle- Join us this month and take a dive into the slew of money! Thorns &amp; Roses- It’s team bingo. So, choose your team and together prepare a bunch of roses and get rid of the thorns to win 200 BBs. The Rubik’s Bingo Cube- Twist and turn the Rubik’s Cube to win up to 50 BBs. Chutes and Ladders is back- It’s Chutes and Ladder with a difference because here you win something anyways, whether you step up or down the ladder. 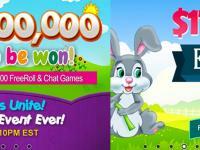 Step up to win up to 150 BBs and slide down for a surprise gift. 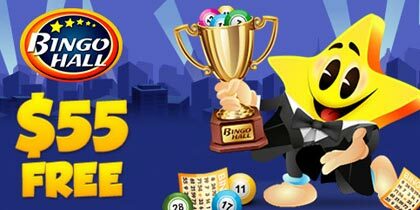 Casino lovers can have their slice of love too with 123 bingo exclusive casino capital. 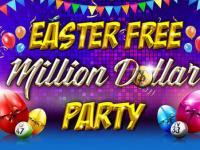 Whether you are a slots junkie or roulette rooter or a poker patron, there are exciting prizes for everyone. That’s not all!. Get your soul rejuvenated…get on our Treasure Island to discover the latest and the most refreshing casino experience. Tryout Lounge- Get into out ‘Tryout Lounge’ where you can not only try out bingo for free, but can also lay your hands on cash and bonuses of worth $400 and more! Fair and Square Bingo- Join us in our Highroller room every night this month and play fair and square bingo for the guaranteed cash prize of worth $500. Besides, you can also win awe-inspiring rewards in cash and bonuses on the Fantabulous Fridays Raffle, Bingo NFS 123 and Power Hours.